The concept of market in this part of human civilization can be successfully traced back to Harappan era. Since then, markets underwent different kind of progression and adopted various forms over centuries. But even then for ages, physical presence of buyers, sellers and products at same place has been the main characterstics of a market. With advent of Internet and Mobile, and moreover with increase in their penetration in recent times, this main characteristic of market is also becoming redundant with each passing day. These Internet markets, more commonly known as ecommerce, are spreading their wings in global industry from last decade or so. According to projections by Interactive Media in Retail Group (IMRG), a U.K. based online retail trade organization, global business-to-consumer e-commerce sales reached US$ 1.2 trillion mark by 2013 and is expected to grow at 18-20 per cent annually. While India According to Report of Digital–Commerce (IAMAI-IMRB), e-commerce industry in India has witnessed a growth of US$ 3.8 billion in the year 2009 to US$ 9.5 billion in 2012. The market is expected to grow at 34 per cent year on year. Industry survey also suggests that by 2020, ecommerce industry will be contributing around 4 per cent in GDP of the country. Even with this kind of numbers and growth prospects, ecommerce industry in the country is still longing for much more attention that currently provided by the policymakers. Unfortunately for the sector, despite its substantial weight in India’s economic engine, the sector has received scant regulatory support and clarity in terms of conducting business by the previous UPA government and in Budget 2014. The most signifi cant and talked about regulation, which impacts ecommerce is FDI. As per existing law, FDI in ecommerce is not allowed for single brand/multi-brand retail companies. Though 100 per cent FDI is allowed under the automatic route in wholesale or B2B e-commerce or for companies providing “technology platform” services for retail transactions. The potential of Indian ecommerce market has ensured that big retail/ecommerce players from European and American markets cannot ignore it while FDI regulations did enough to not let them enter in orthodox style. So, this single regulation has single-handedly decided the structure and business model of all e-commerce players in the country. Walmart, Amazon, E-bay deployed different strategies to capture the pie of this slowly growing market but each one is on their toes egarding the FDI regulation. Different business models were tried by different players to test the waters. Amazon adopted the model of providing technology platform for retail transactions. While Flipkart, myntra and other Indian commerce startsups have both B2B e-commerce and market place also in their arsenal. With new government at helm and high expectations from it, led to lot of speculation regarding regulations. And there were announcements, which were hailed as victory for foreign investors/brands. The most pertinent one mentioned that a company with FDI engaged in manufacturing activity would be allowed to sell its products on a B2C basis, including through e-commerce platforms, under the automatic route. The industry has been gung-ho about the declaration, heralding the unbridled arrival of e-commerce in India. But a closer look at the statement and its implications show that the benefi ts if any, of this statement, would be negligible. 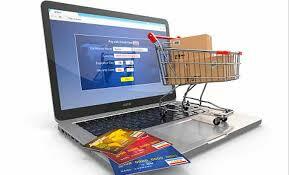 E-Commerce platforms are already allowed 100 per cent FDI in India under the automatic route. Currently, MNC’s having manufacturing units in India like Samsung, LG etc. have a direct online presence through their local franchise stores. Now, they would be allowed to setup their own storesand can sell directly to the end-customers without the need of local franchises.But it does not mean that multi-brand e-commerce would now enjoy 100 per cent FDI. On July 18th, the Commerce and Industry Minister – Nirmala Sitharaman – clarified that there is no change in the extant policy w.r.t E-Commerce activity in India. Given the limited time that the NDA government had in preparation of the budget, it was not expected to spell out a clear, detailed policy on E-Commerce. However, by making the above statement, the government has given a clear signal that its thrust is on local manufacturing and it would allow the carrot of e-commerce to those companies which satisfi es the government’s interests. The NDA government is also trying to balance the thin line between its voter base of small vendors, big businesses interests in E-Commerce and the need for thrust in manufacturing – one of the reasons for its rather ambiguous statement. It is likely that the Government would be most opposed to multi-brand retail, as it is a direct and visible assault on its voter base, but would try to gradually allow E-Commerce liberalization without giving out any strong and sudden negative signals to small vendors. There were other announcements in the budget, not directly related to E-Commerce, but which would indirectly have an impact of the sector. Two major announcements effecting the sector are those related to GST and Online Ads. Government has clarifi ed its intent to roll out GST and is seeking to resolve all issues w.r.t. GST by the end of this year. GST roll out, would help companies having a national presence to streamline their supply chain and simplify their tax structure. Almost companies have a national presence. On the other hand, introduction of service tax on mobile and online advertisement is going to negatively impact the sector, though the extent is yet to be seen. Apart from these major annoucements, other announcements pertaining to thrust on rural infrastructure (Rs. 500 crore allocated for Digital India initiative – which among other things promotes broadband penetration in rural India), railways support to e-commerce logistics (byproviding designated pick-up centers at identifi ed stations, though details are yet to be seen) and removal of special additional duty on tablets would support the industry. With this unparalleled kind of growth in sight, e-commerce industry is here to stay. There is still hope in heart of these big players that sooner or later there will be steps taken by government to liberalize the organized retail and e-commerce sector. In the meantime, they are playing to their strengths and prepared to make the jump when opportunity comes. Walmart has developed the supply chain infrastructure and would jump into retailing when Government liberalizes the sector. It also realizes that customer-buying behavior has changed and is therefore ready to tap into the online channel too. Amazon too has developed its back-end infrastructure – software, warehousing and last-mile delivery- and would get into direct selling to customers once the Government liberalizes the sector. Both the companies also have access to vast amounts of customer data. So far, these regulations have ensured that there is enough innovation in creating business models and company structures. Despite, not so friendly environment, the companies are able to enter and start their operations in the country. Though these regulations are also helping lot of small vendors to sell through marketplace created by these big players. As of now, it appears a different kind of market is being prepared. Customers are enjoying a different kind of luxury they never imagined a decade back. Now, all eyes are set on the future announcement to see which way this newly arrived market goes.